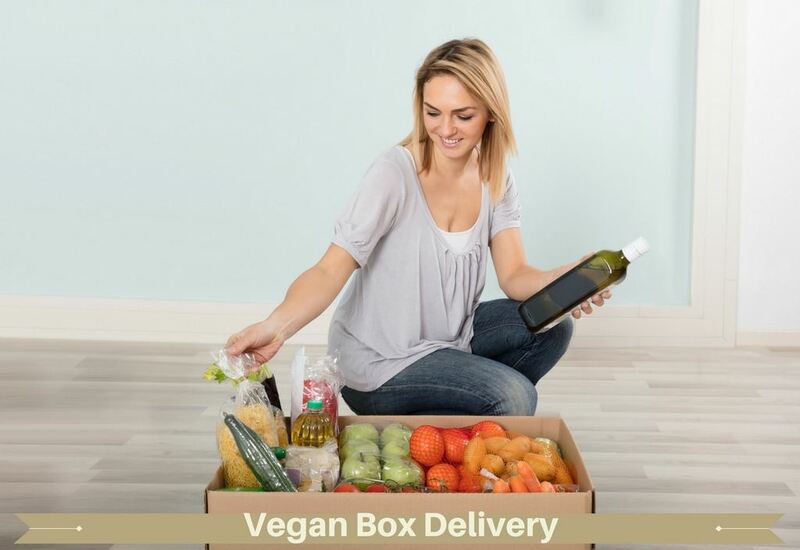 There are lots of different Vegan Box delivery services to choose from and finding the right one can make your vegan lifestyle that much more enjoyable. Nowadays, everyone is so busy working and trying to keep their heads above water that they don’t have time to go shopping or even pickup dinner. For strict vegetarians and vegans everything is even harder. Well, imagine there was a monthly vegan food delivery service that delivered everything from vegan meals and gluten-free dishes to delicious night snacks (to be enjoyed any time of day) that will arrive right on your doorstep. How about receiving cruelty-free beauty products that are difficult to find where you live? Well, now you can! Vegan Box delivery is a great idea for those of us who like to get little surprises delivered in the mail, but it can also be a great idea for busy people and those who love vegan lunch boxes and vegan restaurants but live in remote areas or in cities that don’t tend to cater very well to the vegan lifestyle. There are lots of different Vegan Box delivery services to choose from and finding the right one can make your vegan lifestyle that much more enjoyable. Plus, these boxes can also make great gifts. Learn more about vegan subscription boxes on this page and then click further into the section to learn about some specific boxes so you can find some enticing options to try for yourself! Before you sign up for a vegan box delivery service, it’s important to understand what subscription boxes are and what they offer their customers. In essence, subscription boxes are sort of like a “___ of the month club” subscription, only instead of beers from around the world or something like that, you’ll get a specific type of product according to what you’ve signed up for. Snack and makeup boxes are among the most popular on the market and there are several different vegan options in each of these popular categories. Less popular or more specialized categories such as exercise-focused boxes or craft and decor boxes may not have as many vegan options available. In this section, we’ll cover a few different boxes from different categories, but most of them will be food-focused. No matter what the theme, subscription boxes tend to offer different products each month so you can get a variety of different things and keep your selection interesting. For example, some companies focus specifically on beauty products, others on food products. Among those that focus on food products, you may find some boxes that are devoted to snack foods or candy while others may lean more toward culinary ingredients and healthy foods. In most cases, though, companies will offer a box or selection of box types that present an ever-changing variety of products from the same broad category, like food or beauty. You should also note that some of the companies we’ll cover in this section, including Vegan Cuts, offer multiple different types of boxes that you can choose from. This means that if you like the way the company does business, come to trust their product quality and appreciate their approach to customer service, you can get a variety of different boxes that deliver the same kind of results with different product types. Just as the theme of every box may be different, specifics like the size of the box (the number of products included therein), the number and size of products you get (whether you get full-sized products or just small samples) and the frequency of delivery all differ from company to company. Some deliver quarterly, others monthly. These specifics are all factors in finding the ideal box for you. If you don’t want to pay for product samples, for example, be sure to focus on a company that sends out full-size products in its boxes. If you don’t want to pay for a monthly delivery but would like a surprise to show up at your house every so often, look for a company that offers bimonthly delivery or find a subscription service that allows you to control the frequency of your deliveries. There are also some companies that offer a blend of both full-size and sample products, which can be fun, especially if you like the full-size product. This can be a fun way of discovering new vegan items you’ve never tried before. You might even get some products you’ve never seen on store shelves. Discovery of new products is a major motivator for many people who purchase box delivery subscriptions. There’s an element of surprise to most subscription boxes. Ultimately, it’s the company that decides on each box’s theme and/or contents. That means that in most cases, you never know exactly what you’re going to get. Each box is likely to be different and opening it up and seeing the surprises inside can be very exciting. That excitement doesn’t always lead to enjoyment, though. You could end up with a box full of samples for things you’ve never tried before and end up wanting to buy again or you could end up with a mixed bag of things you know you like, things you’ve never tried and things you’ve tried and really don’t like. This random element makes subscription boxes sort of like a slot machine, and depending on your personality, it could be either a really fun, desirable thing or something you find annoying. The process for signing up for a vegan subscription box will vary by company. In most cases, you’ll need to visit the website, set up an account, choose your subscription options and enter payment information, which is then stored and billed when your boxes ship. Some companies offer a prepaid delivery plan that allows you to delete your payment information after your initial purchase. Pay attention to what the company offers and be clear on how payments happen before you sign up to avoid any unpleasant surprises when your credit card gets charged for your delivery. It’s a good idea to pay close attention to details outside of payment as well. Because there are so many variations in what’s available, it pays to do your research and be aware of all the details when you’re finally ready to sign up for a subscription service. Some vegan subscription box delivery companies allow you to set preferences for delivery frequency and box size/cost, so you’ll want to make sure you’re picking the option that actually works best for you. If you’re ordering for a household that includes two vegan adults and two vegan kids, for example, you may not want to order the smallest size unless you plan to keep the goodies to yourself. This is especially true of snack boxes. You’ll also want to make sure you’re taking advantage of all available options to customize your box to set yourself up for success. This isn’t always the case, but some services allow you to make a profile to set preferences for what kind of stuff you want to receive and the flavors or types of makeup you tend to prefer. Others send the same products to every subscriber, meaning there’s no option for customization or preference setting to control the kinds of products you get. These boxes are more random, and depending on what you’re looking for from a box, it could be either a good or a bad thing. If you’d like to be able to have some control over what you get every month, sign up for a subscription service that allows customization and make sure you fill out any questionnaire or profile information when you set up your account. Finally, one other thing to look out for when you sign up for your vegan subscription box is options for gifting. Subscription boxes, much like the beer-of-the-month-club subscription concept we mentioned above, make great gifts, especially for friends who are new to veganism who might need a little encouragement. Even longtime vegans will likely appreciate getting special deliveries to their homes every so often. If you’re interested in getting a vegan box delivery gift subscription for someone you like, you’ll probably encounter two different types of options that will vary by company. Some box companies offer gift subscriptions that allow the gift giver to buy an electronic (or physical) gift certificate to present. The gift recipient then uses a code to redeem their gift. This is usually the case with companies that let customers create profiles that determine what they’ll get every month. That way you can still give the gift while allowing the recipient to set their own preferences. If you want to give just a small gift or don’t want to burden your friend or loved one with repeated deliveries, you can look at vegan subscription box companies that offer one-time gift box purchases. So why are subscription boxes so popular? What are all these people getting out of paying for these deliveries? Well, for one thing, it’s nice to get to try new products without having to do a ton of research. The convenience of just having something show up on your doorstep or mailbox is hard to beat. It’s like instant gratification with minimal effort. If you love that little rush you get from treating yourself to something nice, vegan subscription boxes can actually be a good way of giving yourself that nice feeling while sticking to a set budget. Instead of impulse spending, you can wait for your special delivery box to arrive and get your consumerist kicks that way. It can be really nice to have healthy snacks or new beauty products on hand. Having a stash of products to try out can be helpful in avoiding a need to run errands. You can toss your sample-sized snacks or personal care products into your work bag or enjoy them when you travel. You can also just use them as you get them to explore new products that someone else chooses for you. People who love shopping or trying new things find these very appealing and practical people find the convenience of having extra products stashed around appealing. There’s kind of something for everyone depending on how you use the products that come in your subscription box. However, this convenience can be more than just a fun way of entertaining yourself or a way of keeping emergency extra supplies on hand. If you live in a remote area that doesn’t offer a lot of options for vegans (or in a food desert that lacks easy access to healthy food options of any kind), you can order a vegan subscription box to inject some variety and fun into your diet and lifestyle and make being a vegan easier and less burdensome. These boxes can be a way of taking matters into your own hands and providing options for yourself when other people decline to do the same. There’s also an element of fun that comes with being a vegan and getting to participate in a consumer trend without having to compromise your values. Subscription boxes are definitely hot right now and it’s always disappointing to find that companies don’t cater to vegans at all. The boxes we cover in this section of our site are all vegan-friendly and that sense of inclusion is a nice change from the norm. It’s a sign that veganism is becoming increasingly popular and accepted among society as a whole and a source of inspiration that vegans can make anything happen if we put our minds to it. Another benefit that can be nice is that companies that offer sample-size products tend to offer discounts for full-sized products, including coupons you can use in any store or percentages off from products in the company’s own online store. Putting discovery of new vegan products together with the opportunity to get a discount on your first purchase of a full-size version can actually help subscription boxes pay for themselves over time. If your box subscription is $15 per month and you end up saving that much on a couple of full-size product purchases, it makes the whole endeavor feel more worthwhile. There are some drawbacks to subscription boxes to consider. Keep in mind that because every company’s different, some of these drawbacks might not be applicable to a particular box. But these are common problems that cause some people to cancel their subscriptions or decide not to sign up in the first place. The surprise element of this can be nice, but remember that you may not always like what’s delivered. If you end up with a box that’s full of stuff you don’t like, you may feel that you’ve wasted your money. Again, if you spend $15 on a box and don’t like anything that was delivered, it’s easy to think of all the things you know you like that you could have bought with that $15. Some companies might be flexible about giving refunds if the sample qualities were bad or there were other issues, but don’t count on this. Also, as we discussed above, most companies bill subscribers on a rolling basis as each box is shipped out. This means that if you’re the forgetful type, you could end up getting billed over and over again for a subscription you no longer want. Pay close attention to the billing setup before you sign up and be aware of whether you will need to remember to cancel if you decide you don’t want deliveries anymore. Reading the fine print can also mean setting your expectations in the right place. If you just Google “vegan subscription box” to find your box delivery, you might miss out on the fact that some box companies only deliver to certain cities, regions, or countries. This can be a bummer if you end up getting really excited about a certain box and find out that it isn’t available in your country. There are some international box delivery companies, so don’t get discouraged if you find out a box you’re interested in is based in a different country than where you live. However, international box delivery may be one of those “just because you can, doesn’t mean you should” kinds of things. Ordering these boxes international can pose its own set of problems. In addition to being potentially expensive, having boxes delivered from overseas can affect the freshness of the food or beauty products inside. Anything that can melt, like chocolate or lip balm, may end up melting and solidifying several times in a long shipping process. The box can get damaged in transit or sketchy customs agents may decide to snag some of your samples for themselves. On top of tall that, the samples available in your box may not even be for sale in your country, so you might end up disappointed that you can’t get a full size of something you really like without again paying international shipping. Finally, if green living is a concern for you, subscription boxes might not be the right choice for you, even if the companies are careful to source eco-friendly products and use ethical packing materials. Ultimately, it can feel wasteful if you get a box that’s full of stuff you don’t like. All that product packaging, shipping fuel and food or product inside the box will all have been for nothing if you aren’t happy with what’s in the box and don’t want to actually use it for its intended purpose. Giving samples to friends and family members can offset some of this waste-focused guilt, but if the product is truly bad or if it’s just a sample size you’ve already taken a bite out of, you might not find many takers for sharing. Don’t let that list of drawbacks scare you away if you’re curious. There’s a reason subscription box services stay in business and continue to do well over time: People like them. There are some personality types that seem better suited to this style of shopping to others, so you may end up not caring about the drawbacks and loving the fact that you get fun vegan stuff delivered on a regular schedule. At the end of the day, these boxes are something fun to look forward to. One simple criterion you can use to instantly narrow down your options is to choose whether you want a food box or a makeup/beauty/personal care box. That will knock a bunch of options out of contention. You can also decide whether you also want (or need) your box to be completely gluten-free. There are also some companies that offer 100% non-GMO vegan subscription boxes, which can further help you narrow down your options. Budget is also a big factor to consider. $15 a month doesn’t seem like a whole lot of money, but that adds up to $180 a year. For some folk, this may not be a justifiable expense. No judgments here, but do keep that in mind, especially in light of the fact that these auto-renew subscriptions can make it really easy to overdraw your bank account or run up a credit card bill if you aren’t staying on top of the subscription every month and making sure you have the funds available to cover the charge. If you have the budget, though, you might want to sign up for more than one box subscription. That way you can test out what each box has to offer over a month or two and choose the ones that deliver the best vegan foods and products according to your tastes and needs. You can choose two boxes in the same category and cancel the subscription to the one you like less after a while or you can try a bunch of different boxes from different categories to constantly renew your supply of fun vegan snacks and products to enjoy. Take a look through our vegan box delivery reviews to see if any of the ones we’ve discussed seems like a good fit for your needs. Welcome to My Site. This is my pride and joy. A place where I can express my love for all sentient beings and devotion to the vegan movement. I’m so glad you are here!